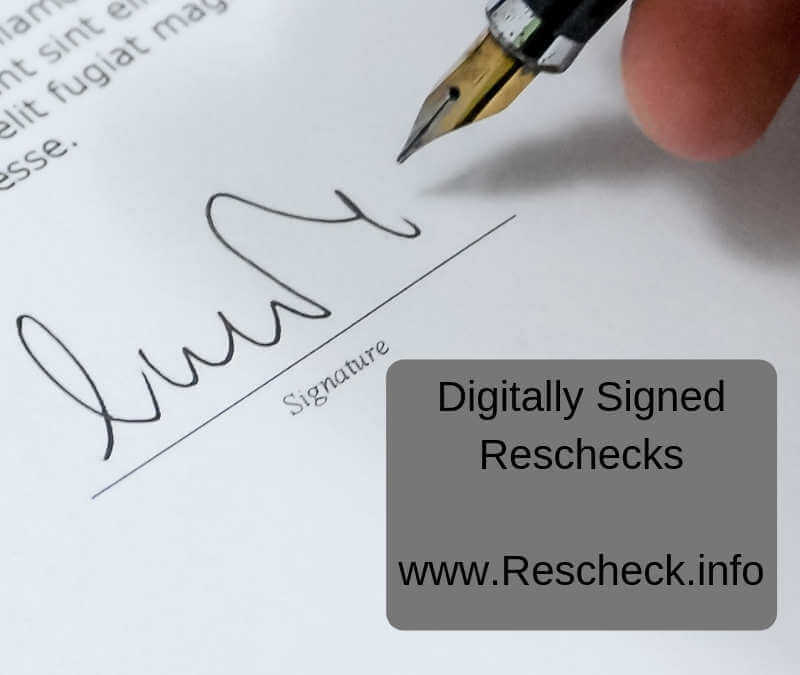 What is a Digitally Signed Rescheck? | $79 RESchecks & Manual Js. $79 Any Plan. Any State. 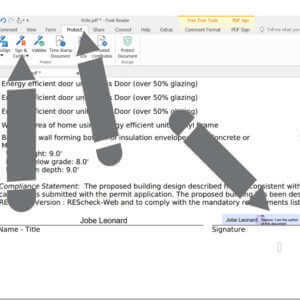 A common question we have seen from home energy auditors around the United States is what is a digitally signed Rescheck, Manual J, Manual S, or Manual D. Above and beyond the typical signature profile from a software like Adobe, FoxIt, or BluBeam Revu many cities are requiring what is called a digitally signed Rescheck. Submit the wrong report and you will need to resubmit and new Rescheck and possibly see delays in your project. As the most technical source for home energy audits and top Rescheck, Manual J, Manual S, and Manual D blog posts we wanted to provide you with this in depth tutorial for moving forward with Denver area, front range, and Colorado energy reports. One city that has upped the requirement of digital signatures on their home energy audits is Denver. Along with the switch to IECC 2018 recently Denver also requires a Digital Signature on their energy audit documents. This allows them to track changes to the documents after they are signed. At Rescheck.info we are glad to see this change. For years our reports have been copied by competitors and sold for higher prices to unsuspecting clients as originals. One great way to keep someone from effectively scalping home energy audits and modifying a signed digital document without consent is by using a digital signature on your Rescheck or any Manual J, Manual S, and Manual d you might calculate. You might think that your signature from your PDF software is already digitally secured. It is not. To actually make your signature digitally secured you need to create a profile for your actual signature and password protect it. Luckily there is a free option available without purchasing an entire Adobe or BluBeam Revu software sweet. If you download the Foxit PDF reader you can access these digital signature options free of charge and get your project created for cities like Denver, San Antonio, Houston, Austin, Fort Collins, and Salt Lake City. The way this works is you want to open the Fox It software then in the upper toolbar click “protect”. Then click sign and certify. This will allow you to create and log a password protected digital signature. Please not the Denver makes specific instructions to only sign your document and not certify it. I found this confusing but the basis of it is that the inspection team at the Denver Permit Office needs the signature validated, but if you certify the entire document they are then limited on the ways they can go through and double check the work for accuracy. Your digital signature will look more like a colored link on your Rescheck. Here is a detailed IECC 2018 Denver Rescheck Free Sample of a digital signature. In the case of the IECC 2018 we worked on for Denver our signature had a purple box with some Foxit ghosting around it. Also here is a quick tutorial from the Foxit side of things if you get jammed up along the way to creating your first digital signature for Rescheck, Manual J, Manual S, or Manual D.
Foxit Digital Signature Tutorial to help Rescheck, Manual J, Manual S, and Manual D creators.